The extraordinary story of the U.S. Supreme Court’s most influential justice. Oliver Wendell Holmes twice escaped death as a young Union officer in the Civil War when musket balls missed his heart and spinal cord by a fraction of an inch at the Battles of Ball’s Bluff and Antietam. He lived ever after with unwavering moral courage, unremitting scorn for dogma, and an insatiable intellectual curiosity. Named to the Supreme Court by Theodore Roosevelt at age sixty-one, he served for nearly three decades, writing a series of famous, eloquent, and often dissenting opinions that would prove prophetic in securing freedom of speech, protecting the rights of criminal defendants, and ending the Court’s reactionary resistance to social and economic reforms. 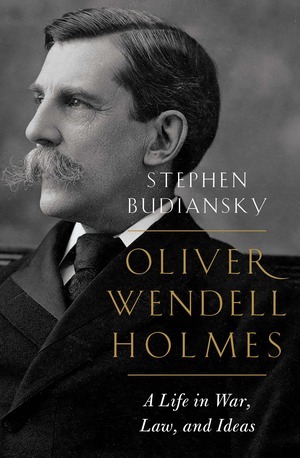 As a pioneering legal scholar, Holmes revolutionized the understanding of common law by showing how the law always evolved to meet the changing needs of society. As an enthusiastic friend and indefatigable correspondent, he wrote thousands of personal letters brimming with humorous philosophical insights, trenchant comments on the current scene, and an abiding joy in fighting the good fight. Drawing on many previously unpublished letters and records, Stephen Budiansky’s definitive biography offers the fullest portrait yet of this pivotal American figure, whose zest for life, wit, and intellect left a profound legacy in law and Constitutional rights, and who was an inspiring example of how to lead a meaningful life in a world of uncertainty and upheaval.